Contrary to popular belief, hearing loss is not a natural part of the aging process. In many cases, hearing problems and hearing loss are caused by a variety of environmental factors, such as environmental sounds that can be controlled or eliminated. Not only is important for a hearing-healthy lifestyle to include a healthy nutritious diet, but to also be mindful of the various ways environmental toxins, your job and even certain medications can contribute to the possibility of hearing loss. Hearing loss may not always be preventable, but there some things you can do to help keep your ears healthy and your hearing in its best condition. 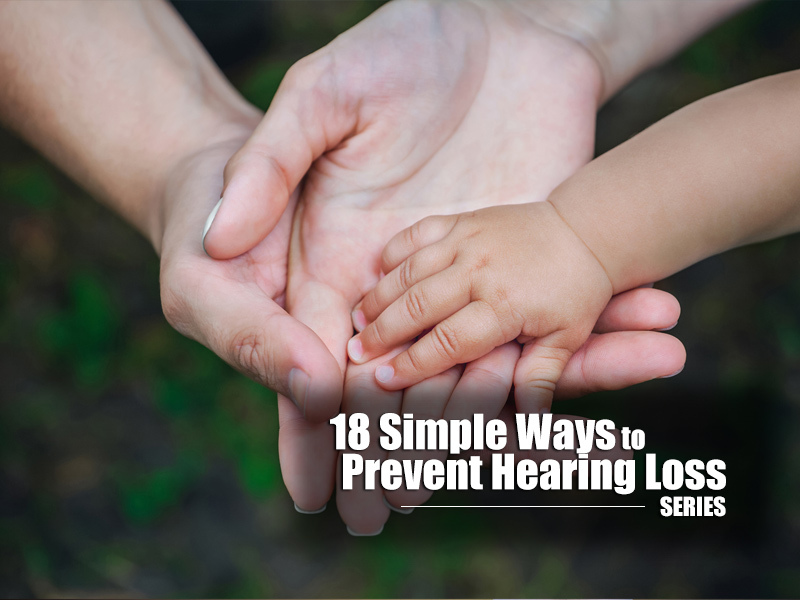 In this series, we’ll give you 18 simple ways to help prevent further hearing loss. If you needed one more reason to quit, here it is. Studies have shown that there is a link between tobacco smoke and hearing loss, so if you smoke-quit. If you think you’re off the hook for this one because you don’t smoke, think again. Exposure to secondhand or thirdhand smoke can still put you at risk. You should make all attempts to avoid exposure to every degree of smoke. Research has shown that smokers are almost twice as likely to experience hearing loss than a non-smoker and the risk increases with the more cigarettes you smoke per day. The reason for this is because smoking may lead to vascular insufficiency. Hypertension may also occur from smoking, which can also lead to hearing loss.